We typically use satin ribbon for our Dainty Daisy wedding invitation cards, as most couples prefer that type of ribbon. 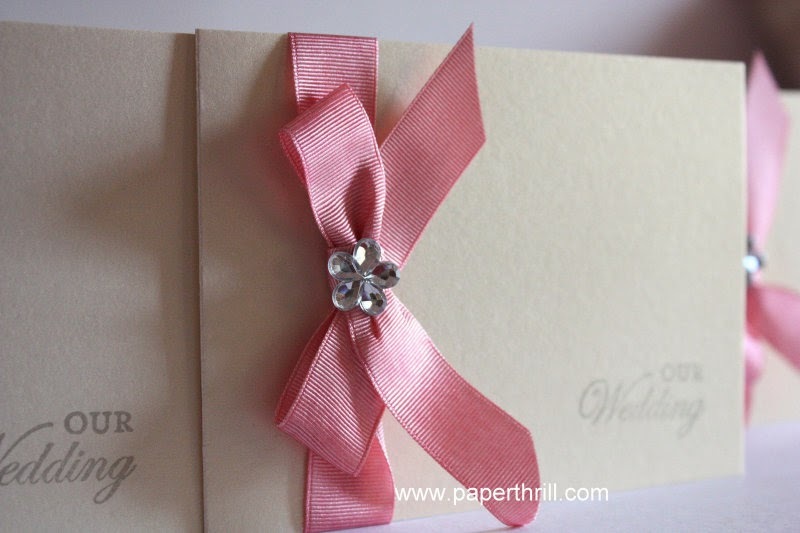 This set of invitation cards, however, uses grosgrain ribbon instead. The textured feel of the ribbon tied against the smooth pearlescent card adds depth to the card. Be it satin, or grosgrain ribbon, both are beautiful in it's own way.